In the fight against climate change Divest WMPF are screening Powertrip: Fracking in the UK, a powerful film that takes you to the frontline of resistance against fracking. The screening is part of a drive to build support in Coventry for the work of Divest WMPF. Birmingham City Council recently voted unanimously to pull its Pension Fund money out of fossil fuels, thanks to the persuasive power of this campaign group . The goal now is to build support across the West Midlands and get all six other local authorities to follow suit. 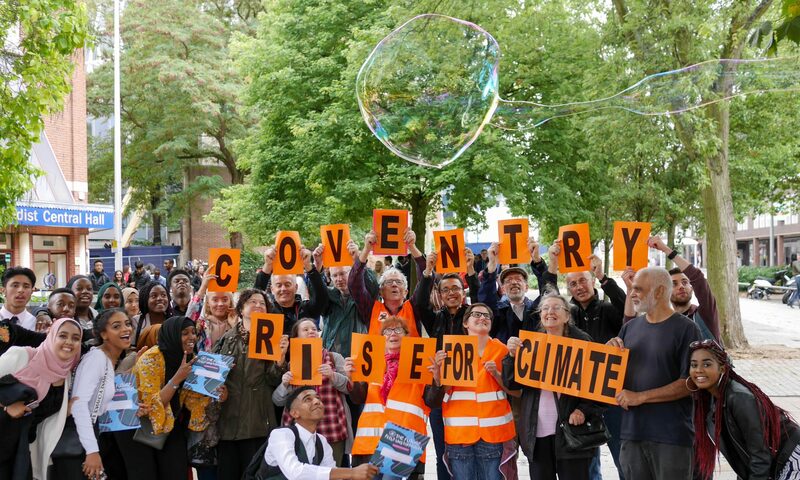 If this goal is reached then £490 million of West Midlands Pension Fund money will be divested away from fossil fuels and into local renewable energy schemes, adding to the figure of $6 trillion which has already been divested by institutions across the globe. Come to the free event, meet the team and join a campaign which is delivering rapid, global progress by striking at the heart of the financial beast! Over 100 candidates from across the political spectrum signed including both the leader and opposition leader of Dudley Council! We are moving forward to try to secure further Divestment commitments with a focus on Dudley , Sandwell and Coventry for now. There are three events coming up in June and July which it would be great to see you at. We are delighted to announce that the following May Local Election candidates in the West Midlands have pledged (or have party policy) to push for a motion to divest the West Midlands Local Government Pension Fund from damaging fossil fuel investments. With Trump left isolated at the G20, Birmingham Councillors have chosen to stand alongside prominent world leaders in tackling climate change. 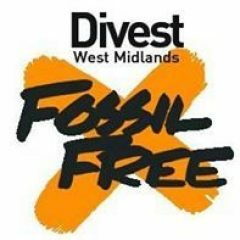 On the evening of Tuesday 11th July the Birmingham Full Council debated a motion to back divestment of the Local Government Pension Fund ‘West Midlands Pension Fund’ from fossil fuels. I am delighted to see Birmingham City Council councillors united in supporting divestment from fossil fuels today. If we are to save our environment for future generations it is vital that we leave most of our coal and oil resources in the ground. It therefore makes no sense for Birmingham’s pension funds to be investing in industries based on exploiting these resources. Instead we should be investing more in low carbon technologies, which enable us to live cleaner, healthier lives. The motion also called on the Council to rule out new investments in Fossil Fuels. This is a wonderful that Birmingham City Council has shown leadership Birmingham in leading the way towards a fossil free future for the West Midlands. We welcome commitments to press the pension fund to divest the £393 million it currently invests in coal, oil and gas companies. Instead, the West Midlands could reinvest this money into building new homes, clean renewable energy or public transport. Reports have shown that climate change is already, and will continue to have great impacts on our region and the world.